Ollo educational kit ( Developed by Robotis Co, Ltd.) is the best solution for beginner who have not experienced robots. Ollo Inventor Kit plan the student to start learning simple programming about robotic (so on learning interfacing between cpu and robot machines), sensors and servo motors. Ollo Inventor Kit include a workbook and robot example which help the student to learn basic concepts, to build robots, to understand applied principles, and to solve question. The student can learn the principles of robot building while building the 12- type example robot in order. Ollo educational kit ( Developed by Robotis Co, Ltd.) is the best solution for beginner who have not experienced robots. Ollo Explorer Help student to learn the basic concepts an theories of robot through experiment and become familiar with the definition of robots, energy of robots, use of sensors, speed and power, and walking and running. 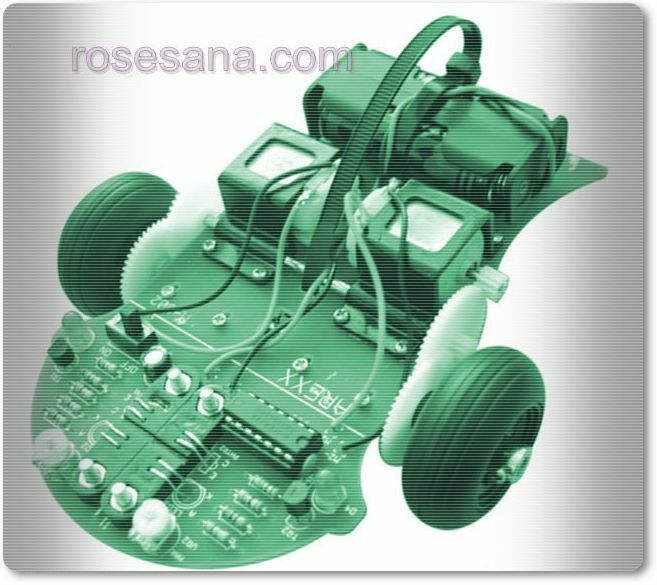 The student not just assemble and disassemble repetitiously but they can understand the principle of robot operation. 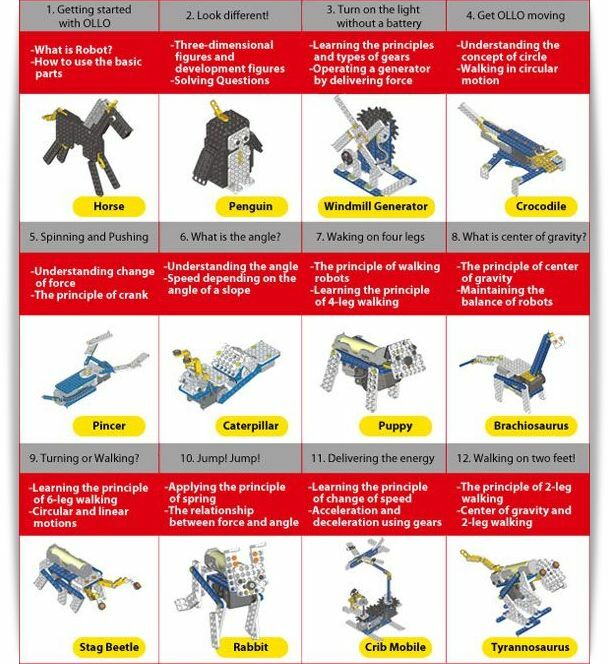 Ollo Explorer provide student a workbook and examples of robot which include a curriculum, such as how to learn programming, use of sensors, building robots, understand the principle, solving question , etc. Ollo Explorer icludes all-in-one sensor controller and geared motor. 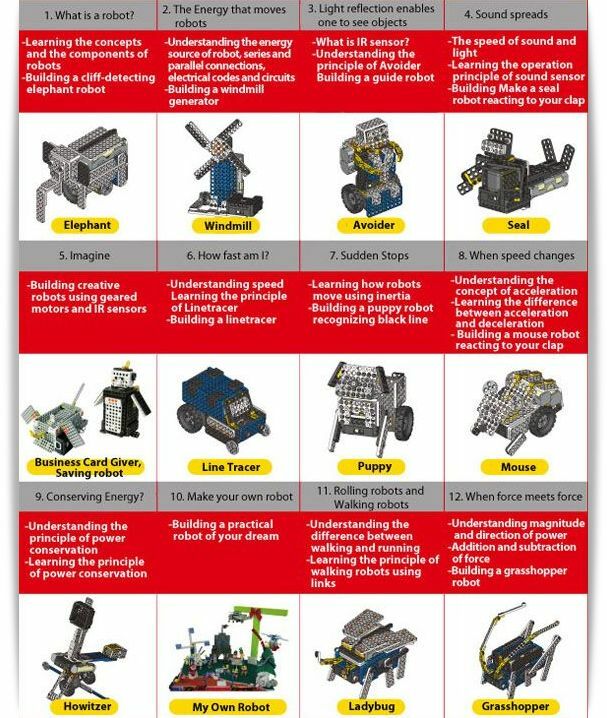 The student can learn the principles of robot building while building the 12-type example robots in order. Ollo educational kit ( Developed by Robotis Co, Ltd.) is the best solution for beginner who have not experienced robots. Ollo Starter is an introductory kit , which emphasizes on learning the basic concept and theories of robots, such as how to use basic parts, understanding of power, electricity, center of gravity, change of force, walking mechanism of 2-feet & 4 feet robots. Ollo Starter Kit include a workbook and robot example which help the student to learn basic concepts, to build robots, to understand applied principles, and to solve question. 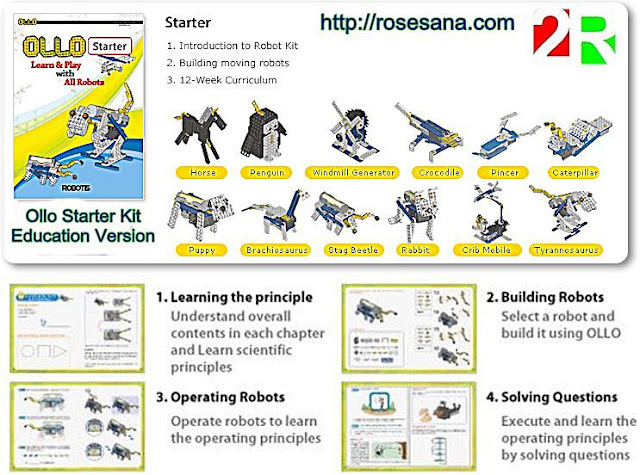 The student can learn the principles of robot building while building the 12- type example robot in order. The student can build various type of robots using geared motor without programming, Ollo starter Kit does not include a controller and a program. sparks creative thinking for younger generation. Let’s Learn & Play with All Robots! which moves with great power. while building a tower crane. Build a puppy robot which stands up and sits down using inertia. the characteristics of rubber bands. Are you getting bored with the toy blocks which are not moving? Build the robots of your dream using OLLO. but also connects parts from both directions. 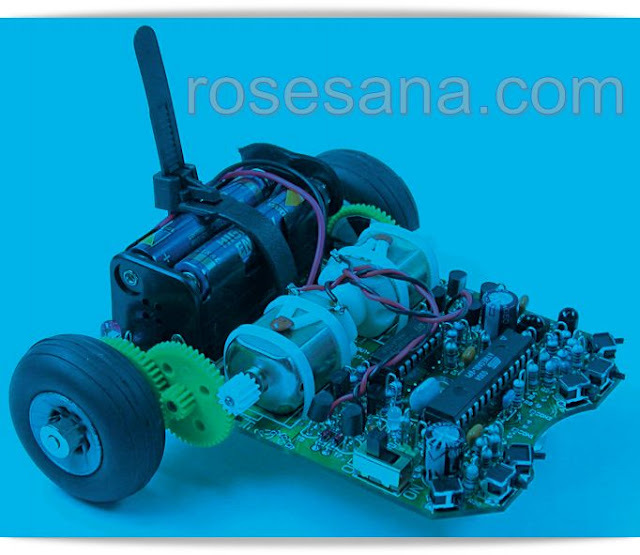 Are you getting tired of building only robots with wheels? create funny faces and game machines. OLLO helps children to develop creativity and scientific minds. Are you worried that OLLO consumes power too soon? OLLO can be operated for more than 10 hours in a row. Do you still think robot kits are ugly or shapeless? Try creating cute characters using OLLO. Many options are available depending on each level and each usage. Telebit Low Cost Ultra Portable Netbook PC with Intel N450 processor. Fast Ethernet over Multiple E1/T1 Lines Network Termination Units . 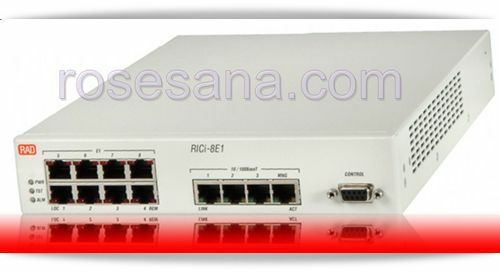 RIC-4E1, RIC-4T1, RIC-8E1 and RIC-8T1 are Network Termination Units (NTU) connecting Fast Ethernet LANs over four or eight bonded E1 or T1 circuits. They enable service providers to supply transparent Ethernet services. 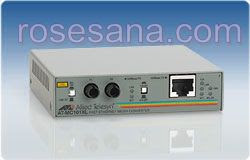 The devices can also be used for transparent connection of corporate LANs over existing E1 or T1 lines. VLAN tagging, stacking and striping option at ingress and egress enables transporting user traffic transparently, keeping all the user VLAN settings intact. In addition, the management traffic may be tagged with a different VLAN, fully separating user traffic from management data. Pocket size digital storage oscilloscope , NANO. 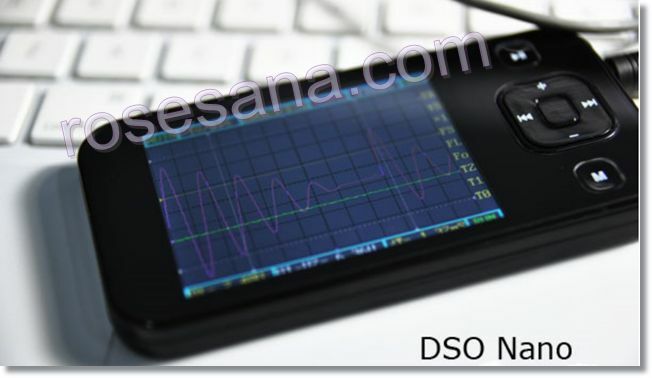 DSO mobile is a pocket size digital storage oscilloscope fulfills basic electronic engineering is base on ARM Cortex™-M3 compatible 32 bit platform, equipped with 320*240 color display, SD card capability, USB connection, and chargeable batteries. In campus and corporate environments, there is often a need to connect LANs that are located in separate buildings within a campus or in various locations across town, at distances that exceed the standard Ethernet limitation. The network is typically spread out over a number of locations at various distances from the main network. Since most campus facilities have copper infrastructures, these wires can be used for cost-effective wire-speed LAN interconnection of campus and corporate networks. To relieve the burden of operation from the IT department, it is crucial for organizations to deploy simple, remotely configurable LAN extension devices. RAD modems that feature ChipBridge™ or ChipRouter®, innovative chips designed and developed by RAD, provide transparent Ethernet connectivity over any type of WAN infrastructure. The LRS-24™ modem shelf supports a wide variety of xDSL and fiber optic modems with different rates and ranges. Central SNMP management enables remote control of all devices. 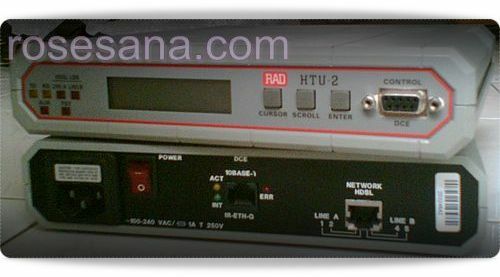 The modems are plug-and- play, requiring almost no configuration. In the typical corporate configuration shown below, a municipal government wants all institutions, located at varying distances from City Hall, to share the same network. RAD's HTU-2™ HDSL modem and ASMi-50™ MSDSL modem, with built-in bridges or routers, achieve cost-effective LAN extension over different ranges and data rates up to 2.048 Mbps. 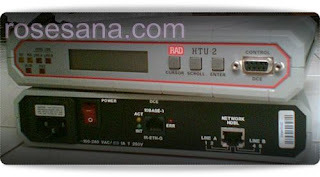 HTU-2 trademarks of RAD Data Communications Ltd.© 2009 RAD Data Communications. All rights reserved. STK600 AVR® Flash MCU Starter Kit. STK600 AVR® Flash MCU Starter Kit. The STK600 is a complete starter kit and development system for the AVR and AVR®32 flash microcontrollers from ATMEL® Corporation. It is designed to give designers a quick start to develop code on the AVR, combined with advanced features for using the starter kit to prototype and test new designs. New firmware releases for STK600 are embedded with the releases of AVR Studio®. The upgrade process will start when you connect to the STK600 board (you will be asked to perform the procedure). If for some reason the automatic upgrade fails, please try the manual upgrade procedure.STK600 AVR® Flash MCU Starter Kit. The STK600 is a complete starter kit and development system for the AVR and AVR®32 flash microcontrollers from ATMEL® Corporation. 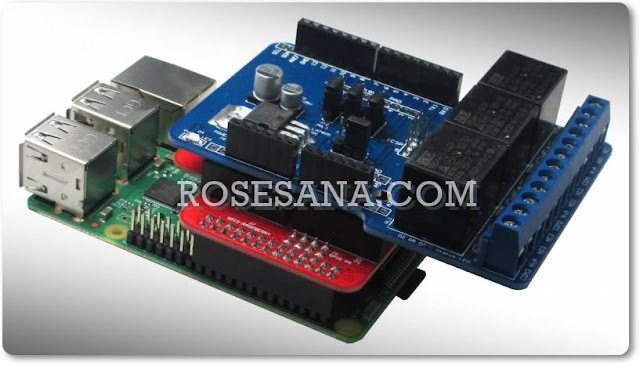 It is designed to give designers a quick start to develop code on the AVR, combined with advanced features for using the starter kit to prototype and test new designs. New firmware releases for STK600 are embedded with the releases of AVR Studio®. The upgrade process will start when you connect to the STK600 board (you will be asked to perform the procedure). If for some reason the automatic upgrade fails, please try the manual upgrade procedure. ASURO is a mobile mini-robot, completely programmable in C and especially developed for education at the German Aerospace Centre DLR, department for Robotics and Mechatronics. Assembly is easy for experienced electronic technicians and feasible for a novice. 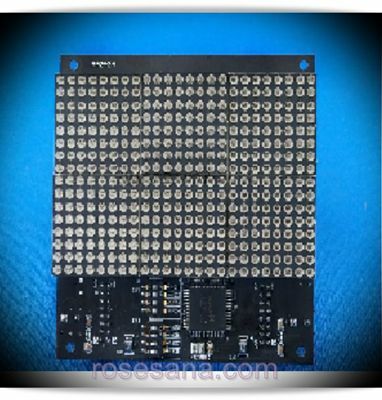 Except for the printed circuit boards (PCB) only standard parts for assembly will be used. For programming we use freeware only. Therefore ASURO is exceptionally suitable as an introduction into processor-controlled hobby electronics, for projects in schools and universities, for studies and adult education centres. Special tools, which are freeware for private users, have been used for all electronic development phases and software design, proving how robots can be designed without using expensive tools or machines. ASURO is equipped with a RISC-processor and two independently controlled motors, an optical line- tracer, six collision-detector switches, two odometer-sensors, three optical displays and an infrared- communication set for programming and remote control by a PC . We must inform all users, ASURO is no toy and is not to be handed out to children under the age of three years, as they may swallow the dozens of small components. Please provide some batteries and start the assembly! 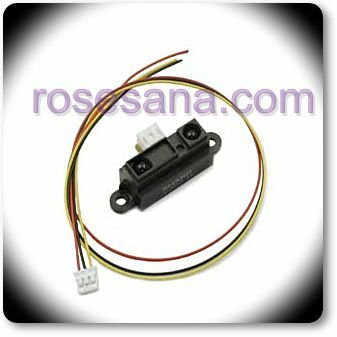 TEC (Thermoelectric Cooler) units with preattached leads. When voltage isapplied, one side of the TEC will get cold while the other side will get hot (you can switch the voltage to flip the direction of the temperature difference), or you can use them in reverse to generate electricity. These amazing semiconductor coolers get ice cold in minutes or heat to boiling by simply reversing the polarity. 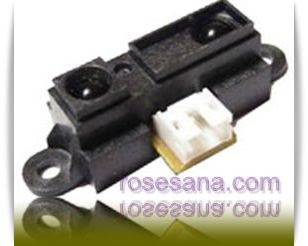 What you can use is for temperature regulation of diode lasers, but they can be used for numerous applications from CPU coolers to alternate power sources, or even for your own custom car drink warmer/cooler (power from cigarette lighter). Photon detectors such as CCDs in astronomical telescopes or very high-end digital cameras are often cooled down with Peltier elements. This reduces dark counts due to thermal noise. A dark count is the event that a pixel gives a signal although it has not received a photon but rather mistook a thermal fluctuation for one. On digital photos taken at low light these occur as speckles (or "pixel noise"). Optical sensor module measuring the distance of objects. Specifications:- Supply: 4.5 to 5.5 VDC- Analog output, distance, output type.- Detecting distance (L) 40-30 cm.- Output: 0.25 V @ L = 4 cm s.d 0.55 V @ L = 30cm.- Almost is not affected by the color of an object.- Average dissipation = 33 mA current. Specifications:- Analog output, distance, output type.- Detecting distance (L) 10-80 cm.- Output: 0.4 V @ L = 80cm s.d 2.4 V @ L = 10cm.- Almost is not affected by the color of an object.- Supply: +4.5 - +5.5 VDC- Average dissipation = 33 mA current. 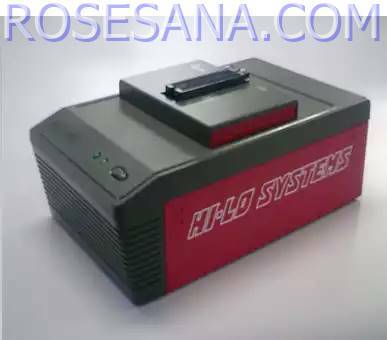 HILO ALL-100A Universal & Gang Programmer, A high performance programmer for both engineering & production. ALL-100A programmer has 68 sets of Precise Universal Pin Driver to provide high speed, low noise, accurate and reliable programming signals for various IC products including high speed low power devices recently released to market. ALL-100A can be setup for either single-site programming for engineering or multi-site programming for production. If required, up to 8 sets of ALL-100A can be setup for multi-set operation so up to 64 sites can be programmed simultaneously to maximize production. The supporting software is updated weekly on web site for check / retrieve through Internet. Programming of new products will not be neglected after purchasing. ALL-100A’s high freq. core circuit design significantly cut down programming time for around 10% ~ 50%. Universal Pin Drivers provide high speed, low noise, accurate and reliable programming signals for various IC products including high speed low power devices recently released to market. 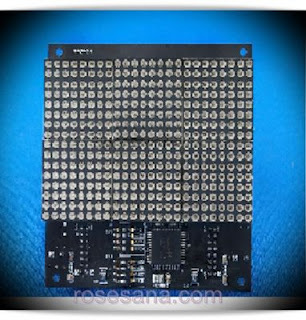 ALL-100A supports wide range of IC products including EPROM, EEPROM, Serial PROM, SPI memory, FLASH, MPU/MCU product types and DIP, SDIP, SOP, SSOP, TSOP, PLCC, QFP, QFN, SON, BGA package types. 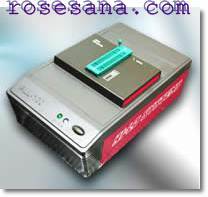 ALL-100A setup and operation can be done easily by connecting Programmer to PC with Windows 2000 / XP / Server 2003 / Vista through USB port, load data file or read Master IC, then select functional options (Program, Verify, Auto...etc.) to start programming. The self-diagnostic utility makes programmer easy to checkout / maintain. 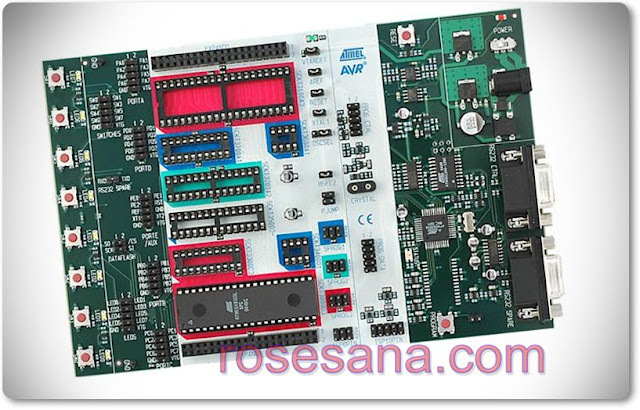 From development / engineering stage using ALL-100A single-site programming to limited production stage using ALL-100A multi-site / multi-set programming, further to mass production stage using AT3-3XX automated programming, high expansion flexibility of programming platform is well prepared in advance. - Supporting the hex edit, checksum, selftest, protect / unprotect, etc. The Minoru 3D Webcam is a single piece with two cameras spaced roughly the same distance apart as human eyes, for the stereoscopic effect. This creates an anthropomorphic look that means users tend to look into the eyes of the camera as they light up. 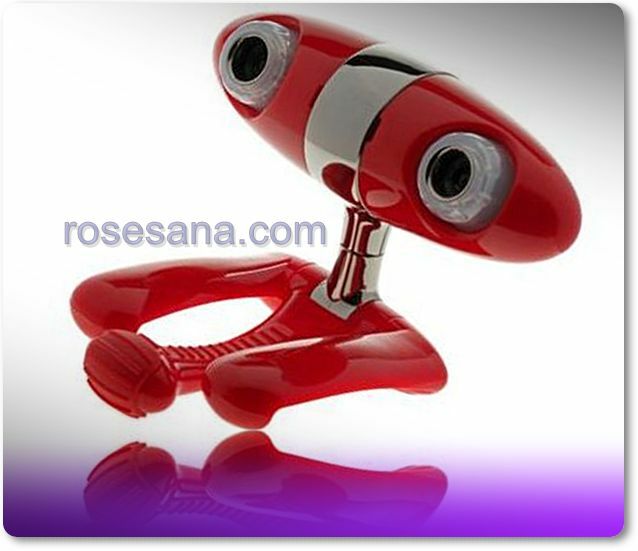 The Webcam has a multi-position stand that can sit or stand on a desk, or perch on a monitor. Viewers wear special coloured glasses to see the 3D image, and five pairs are included. Minoru means “Reality” in Japanese, and it reflects how users feel about the 3D image. The Minoru can be used with Windows Live Messenger, Skype, AOL instant messenger, OoVoo and other video conferencing packages. The camera can also be used to take still pictures or record 3D video for YouTube. It can also be used as a normal 2D Webcam. Row interlaced mode (suitable for eDimensional shutter glasses). 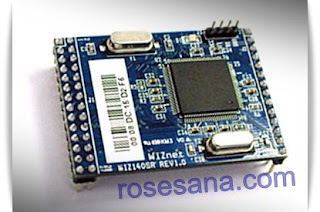 The Atmel AVR STK500 is a starter kit and development system for Atmel’s AVR Flash microcontrollers. The STK500 gives designers a quick start to developing code on the AVR, combined with features for developing prototypes and testing new designs. Interfaces AVR Studio. Connect without wires, in more locations. Just plug the easy-to-carry Compact Wireless-G USB Adapter into your computer and get ready to enjoy the convenience of wireless networking – no strings attached. 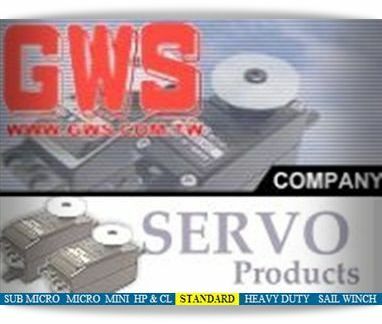 Wireless-G technology offers fast connectivity to most wireless networks, so you can access the Internet or networked devices like printers, storage and other computers, wherever you may be: home, office, or on the road. 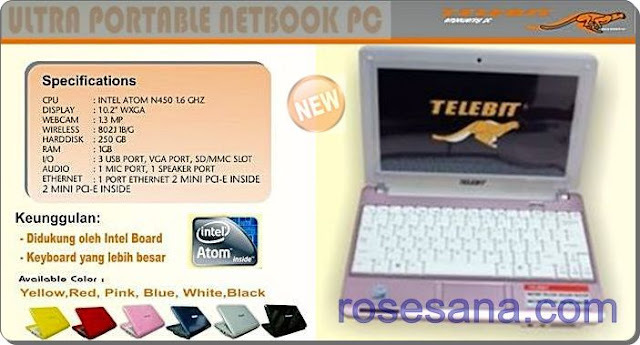 Works with laptops or desktops, in an available USB port. Push-button Wi-Fi Protected Setup™ feature makes wireless configuration secure and simple, and the step-by-step Setup Wizard makes it easy to configure to your network's settings. Rest secure – strong WPA encryption helps keep your communications and information private. 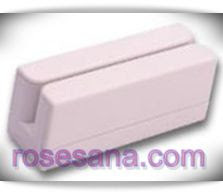 The PMR-410 are compact Magnetic Card readers with keyboard emulator or TTL or RS-232C output.It's designed with microprocessor and advanced magnetic card reading technology, which is compatible with computers, also available with other PC's or terminals equipment. 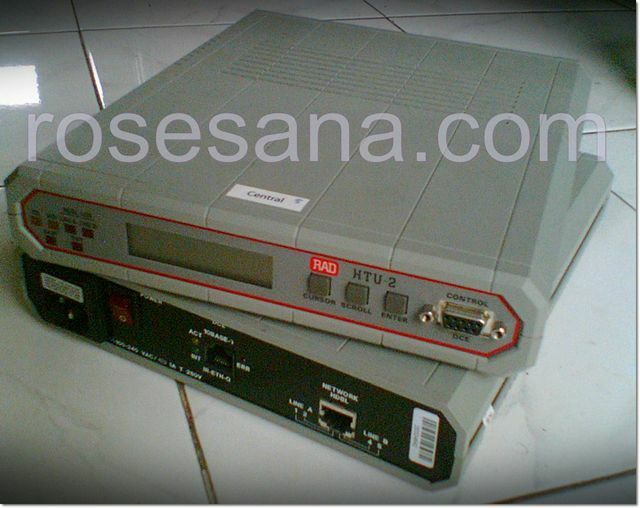 note: PMR410 with interface RS-232 , PMR410UT with interface USB.